Anything can happen in a dream. You can take on a new persona, explore lands both real and imaginary and have adventures worthy of Johnny Depp in Pirates of the Caribbean. 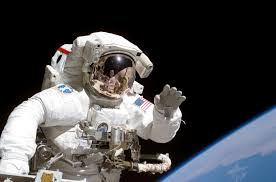 or you might be part of the first space mission (“Houston, we have a problem.”) . But what are we to make of the strange dream images that flit through our minds as we sleep? They seem so real while we’re experiencing them, and sleep studies reveal that our bodies react to dreams with real-life physical stress. Are you climbing a mountain in your dream or swinging from a zip line like Angelina Jolie? Your blood pressure may soar, your heartbeat may rachet up a notch and your chest may feel tight. If you awake and take a few deep breaths, everything will return to normal in a few minutes. On the other hand, what if you’re dreaming of lounging in a meadow, taking in the sweet scent of honeysuckle as you thumb through a book of poetry? Your body will show signs that you are indeed, at rest. Your heart rate will rachet down and your breathing will become slower as your mind enjoys this respite from the cares of the day. In any case, it’s fun to explore our dreams and what they really mean, as the characters in the Dream Club do. 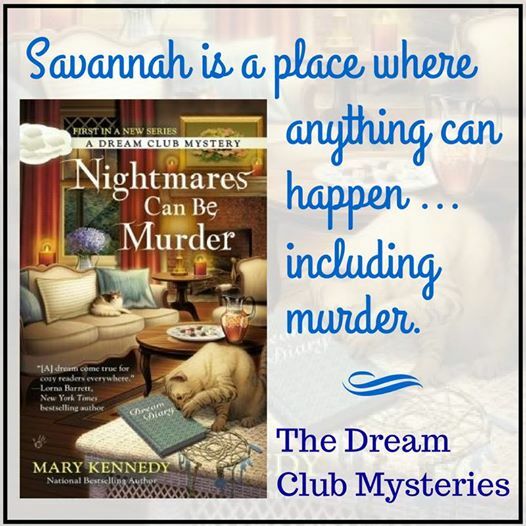 The members like to think that they're uncovering clues to solving murders in Savannah and they seem to have had some success. They combine intuition with solid sleuthing skills and some dream work. But do clues from their dreams really solve crimes? Is it luck, or coincidence or a combination of the two? I leave it to the reader to decide. 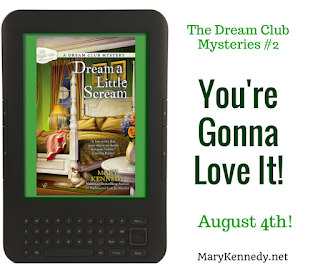 Book 2, Dream a Little Scream, is out right now. If you're interested in dreams and like mysteries, why not give it a try! Book one, Nightmares Can be Murder, is pictured at the top of this blog. Here is book 2. 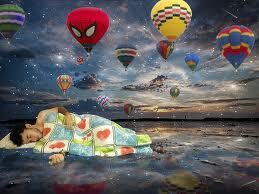 Sweet dreams and happy reading!! I have Nightmares Can Be Murder next to my favorite chair as I write...can't wait. And the books are great, too! Have read both of yours. Good stories with some neat info on dreams included. 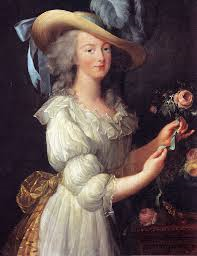 Hi Gram, so glad to hear that, have a great week-end! Thanks so much, sounds like an awful anxiety dream. I have them too, and for some reason, "animals in danger" is always the theme. Sometimes the feelings stay with me for a long time, but you're right, usually a cup of coffee helps!